A treeview with HTML formatting capabilities, radiobutton and checkbox capability. Checkboxes and radiobuttons support various looks, from standard, flat, Borland style to Windows XP visual styles. 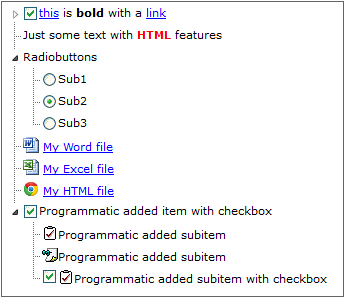 Supports a subset of the HTML formatting tags (see the mini HTML reference).